Mahindra and Mahindra is own its way to becoming a global automotive manufacturer and has already climbed the first few steps towards that. In India, the company is looking to refresh its model lineup and already has launched three new cars in the past 6 months which include the Marazzo, Alturas G4 and the XUV300. By the end of next year, the company will reboot it existing model lineup to quite a large extent with a lot of new generation models of the existing cars along with some facelifts. Here are its 10 upcoming cars that will be launched in India before 2020 ends. Mahindra is taking EVs seriously in India and the first vehicle from the company to have a green heart will be the KUV100 electric. It will be based on the same car whose name it carries but will come with several smart features apart from a change of heart. Its smart features include remote diagnostics, cabin pre-cooling, real-time location tracking and driving pattern monitoring. Mahindra claims that the e-KUV will have a range of 350 km on a single charge apart from having a 0-100 km/h time of 9 seconds and a top speed of 186 km/h. When launched, it will be one of the cheapest electric cars in India. The facelifted model of the TUV300 has been spotted testing several times and it will look pretty similar to the existing car apart from a few tweaks. We expect the new model to arrive in the Indian market by mid or late 2019. It will come with many new features apart from a fresh body and interior design. Further, the sub-4 meter SUV will come with airbags, parking sensors, ABS+EBD along with other standard safety features that have been made mandatory by the upcoming safety norms. The XUV300 was launched in February and has already become the third best selling vehicle in its segment, behind Maruti Suzuki Vitara Brezza and the Tata Nexon. It comes with both petrol and diesel engine options but what it misses on is an automatic transmission, something that has become a must in vehicles of its price segment. For the same, Mahindra will launch a new AMT type automatic transmission for the XUV300. This will give it the much needed advantage over the Maruti Suzuki Vitara Brezza as it neither has a petrol engine and therefore nor a petrol automatic variant. The XUV300 will be a sub-4 meter compact SUV, which actually is a chopped down version of the SsangYong Tivoli. Mahindra, however, is looking forward to make a longer wheelbase version of the XUV300, probably of the same size as the Tivoli or even larger. It will take on the Hyundai Creta and Renault Duster among others and will probably be named as either the XUV400 or XUV300 Plus. Instead of increasing cargo space, the company is more likely to offer a third row as that is offered by none of the popular compact SUVs till now. EVs and hybrid vehicles are the next big focus of many manufacturers in India. Mahindra is also working on a few projects for the Indian market. apart from the KUV100 electric, Mahindra will also launch the electric version of the XUV300 sub-4 meter SUV in India by 2020. It will probably be powered by a 380-volt battery system along with another lower powered unit. The 380 volt battery unit could offer around 250 km range along with a 0-100 km/h sprint in just 11 seconds. The top speed can be expected to be around 160 kmph, which is quite enough for normal usage. The Mahindra Thar has been going on since 2010 without much change. The company will, therefore, launch an all-new model of the car next year that will be better than the current model in every aspect. It has been spied testing quite a few times now and even caught on video. It will be larger than the current generation model and will be built upon an all-new platform that it will share with the Scorpio. The new generation Thar will be powered by a new 2.0 litre engine with power figures touching up to 140 Bhp. It will also get a new suspension setup with coil springs up front and will be BNSVAP compliant. The Mahindra Scorpio is among the best selling SUVs in the Indian market when not considering the under 4 meter SUVs (CUVs actually). This rugged SUV has been going on since 2002 and has proved its abilities several times, both on and off the road. To keep up with the new generation rivals, Mahindra will launch an all-new Scorpio next year that will be quite different both on the inside as well as the outside. The render above gives a hint of how it may turn out to be like. According to reports, the next-gen Scorpio is expected to arrive immediately after the new BS-VI emission norms go into effect on April 1, 2020. It is likely to get powered by the new 2.0 litre engine with an expected output of 140 Bhp-300Nm along with being built on an all-new chassis. The Mahindra Marazzo has set itself as a good and stable seller in a relatively short amount of time despite the fact that it comes only with a diesel engine and without an automatic transmission. Though the MPV is selling quite well, the lack of an automatic gearbox is something that has kept several potential customers away from the MPV. For the same, Mahindra will launch an AMT automatic gearbox on the Marazzo in the market before the end of this year. An automatic transmission is especially important in an MPV which people don’t buy for driving dynamics but for comfort and space. Along with the Scorpio and the Thar, the XUV500 will also receive a generation update next year. The XUV500 has long been among the top seller in its price range but the recent launch of the Tata Harrier has made things hard for the SUV. Further, the upcoming Tata Cassini and the MG Hector will increase the competition and therefore the company is planning to bring in an all-new XUV500 in the market. Until now, the XUV500 has received only a single facelift which added a few features to the SUV along with giving it a smarter face. 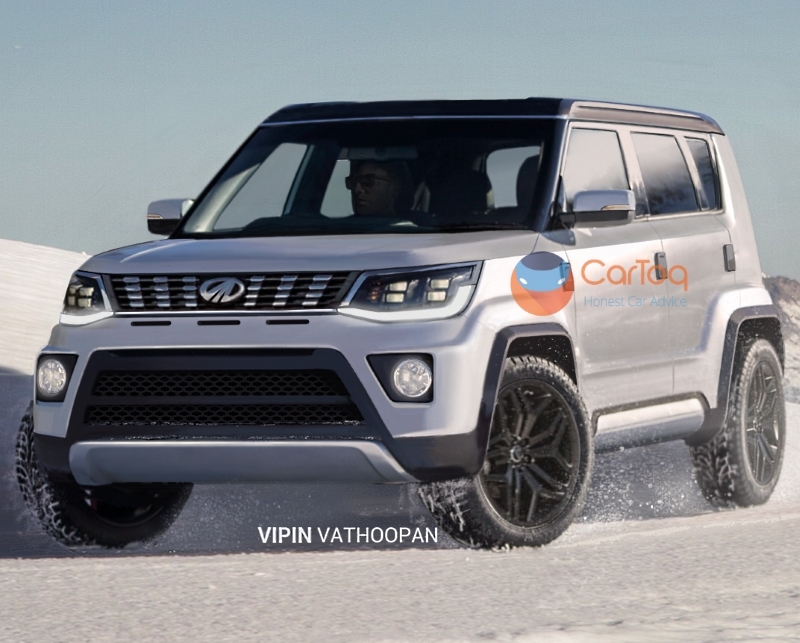 The new XUV500 will be built upon a new chassis and will get powered by the new 2.0-litre diesel engine that will also be found under the Thar and Scorpio, albeit in a lower state of tune. Expect the interiors and the exteriors getting revamped to a good extent too.